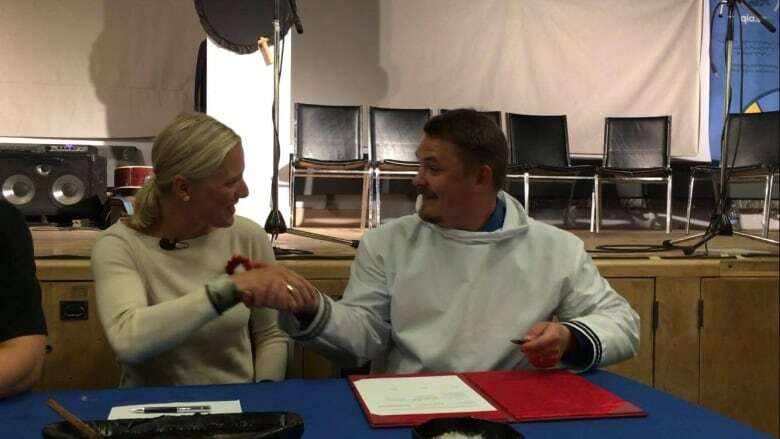 The Qikiqtani Inuit Association and federal government have reached an important milestone in creating Canada's largest marine protected area, signing an agreement in principle for Tallurutiup Imanga, or Lancaster Sound. The Qikiqtani Inuit Association (QIA) and the federal government have reached an important milestone in creating Canada's largest marine protected area, signing an agreement in principle for Tallurutiup Imanga. Tallurutiup Imanga, also referred to as Lancaster Sound, covers 110,000 square kilometres and lies at the eastern entrance of the Northwest Passage. According to a media release, the agreement in principle was reached on Oct. 30 and outlines elements of the future Inuit Impact and Benefit Agreement (IIBA) for the area, which encompasses five communities: Grise Fiord, Resolute, Pond Inlet, Arctic Bay and Clyde River. An IIBA has to be negotiated before the establishment of any new park or conservation area in Nunavut. It's intended to ensure that Inuit will benefit from its establishment, get infrastructure and resources, and will receive training and employment opportunities. The signing of the agreement in principle is a "very significant milestone" in the process, said P.J. Akeeagok, the president of the QIA. In a backgrounder, the QIA said the agreement includes the preamble and principles of the IIBA, a new collaborative governance model, and a community advisory body. 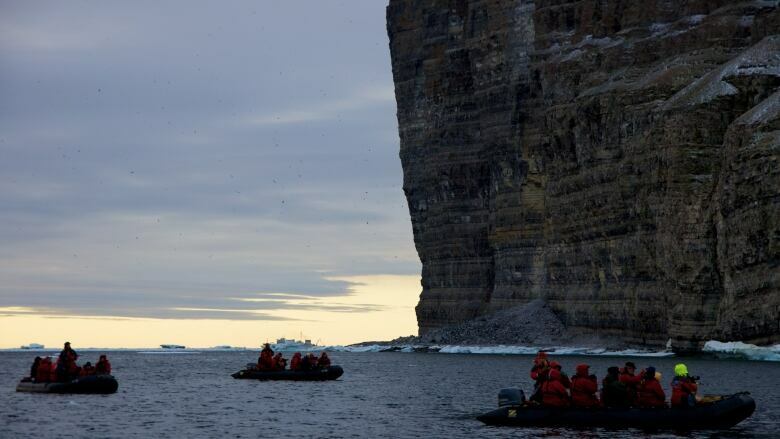 The two groups, along with the Nunavut government, have also agreed in principle to begin conversations on a feasibility study for a new marine protected area — the "High Arctic Basin," or Tuvaijuittuq, located north of Grise Fiord. "That's something that I think, with our ask, we've been negotiating," said Akeeagok. "We're very open to exploring that potential, and that's something that we've been communicating throughout the process." Akeeagok said that the QIA has three main priorities it hopes to address in the final IIBA for Tallurutiup Imanga: infrastructure, jobs — in particular, creating a training centre in Pond Inlet — and training. The QIA is hoping to have small craft harbours and food processing plants in each community, in order to allow members to effectively hunt within the area, and clean and store country food. "Obviously, we feel in our communities that food insecurity is very prevalent," he said. "The focal point of Tallurutiup Imanga is about the people, and the people come first and foremost. And the access to country food is the most essential part of the relationship that we have with the waters. "So with that in mind, the self-sufficiency of these communities by having access, to be able to have proper access to where they can process their meat, where they can store their meat, that benefits the whole community." According to the release, the federal government and QIA are continuing discussions regarding the establishment of the marine protected area, and hope to complete negotiations on the IIBA by April.